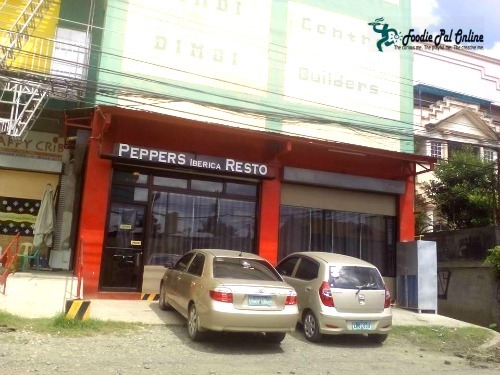 Peppers Iberica open its resto last September 18, 2015. 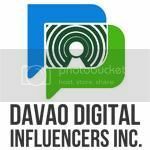 It was opened by Mr. & Mrs. Butch and Chiqui Aportadera. 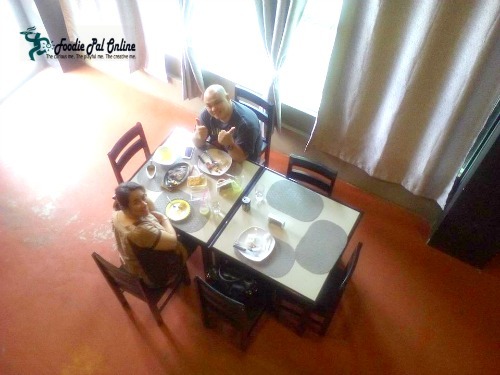 Both of whom lived in Boracay but decided to come to Davao and start to open up their restaurant business with Mr. Aldwin Jay Dumlao, a close friend. Iberica means Iberian Peninsula, which connote to Spanish and Portugal, known to cater Spanish community. 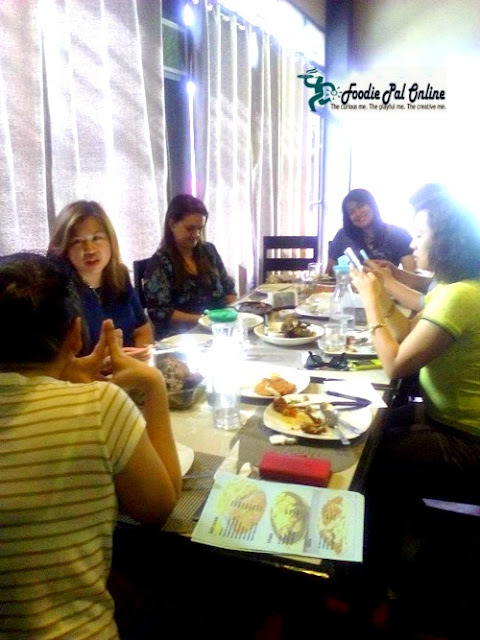 Because Filipinos are known to have Spanish influenced, most of our food are inspired from Spanish cuisine. I know this is long overdue. For Mr. & Mrs. Aportadera my apology for lately I have been too busy with my work. 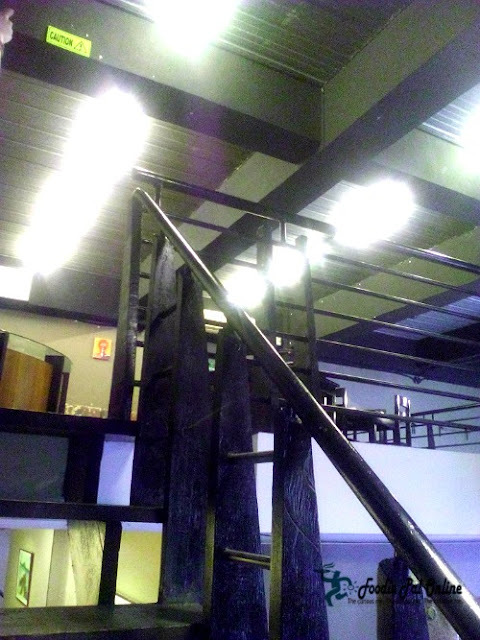 Nevertheless, I want to show what are the menu delicacies that Peppers Iberica can offer to all Foodies like me and/or especially to the Dabawenyos. One of their House Specialty that I love to eat is the IBERIAN CHICKEN. 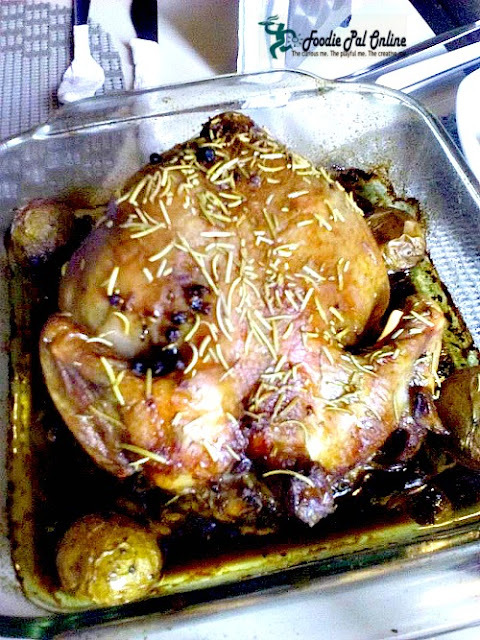 It was baked perfectly in olive oil together with locally grown potatoes, marinated with special herbs and spices and baked wholly in an oven. And you will see licking your fingers because of its flavorful taste. 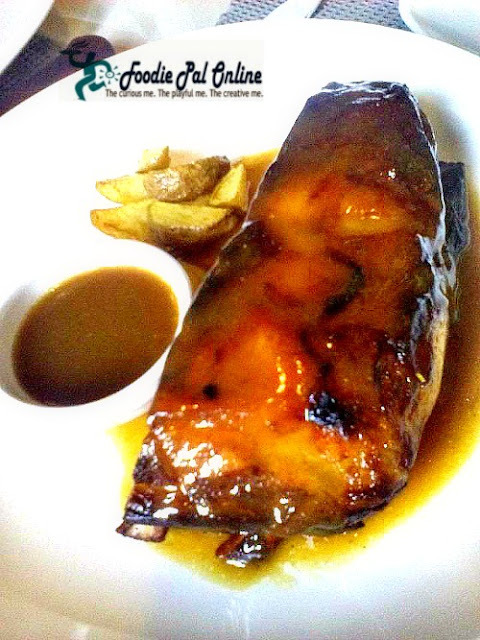 Iberian Chicken for only PHp450! ***Nice for NOCHE BUENA! They accept orders for this recipe. You can choose either ORIGINAL OVEN BAKE or you may try their newest DEEP FRIED IBERIAN CHICKEN. Adorably love it! You can eat it all the way! For me, it's the best rellenong bangus that I have tasted. 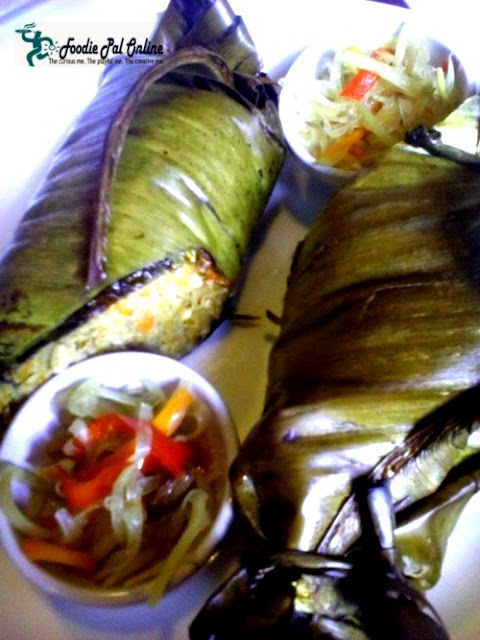 Wrapped in banana leaf and stuffed with a lot of minced vegetables and spices. Satisfactory good in taste! 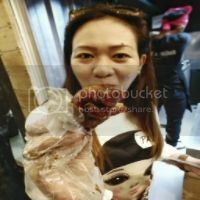 Filipino's love lechon; honestly I haven't met a person that doesn't like lechon(hmmm..except for a vegetarian). I personally loves lechon, but I don't eat a lot of it, what I like to eat is the crispy skin. 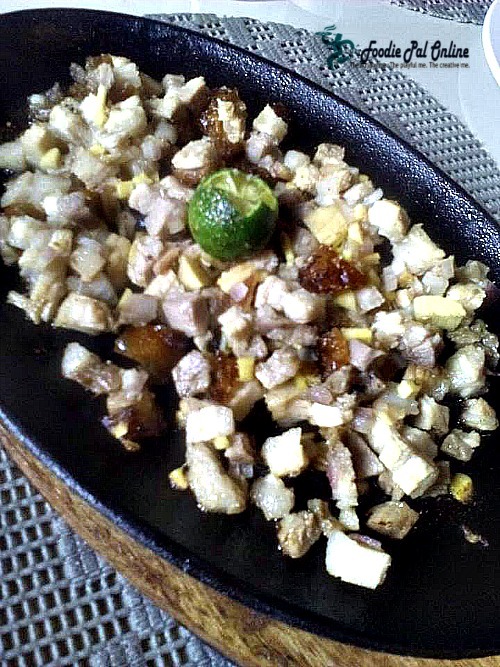 But when this lechon sisig was being served at our table, and as I taste it, it gives me goosebumps. It has a nice brown, crispy coating and intensely flavor fully good in taste. Honestly, there are no words enough to describe the moment you taste it! 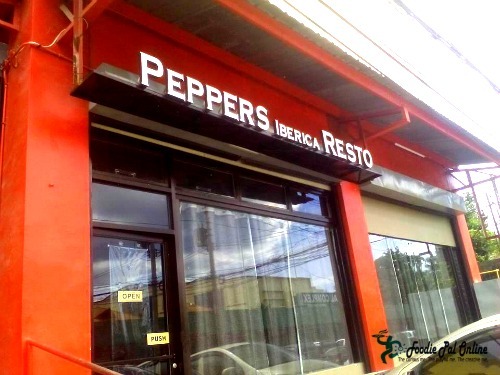 Peppers Iberica own version of famous Ilocos dish, BAGNET. 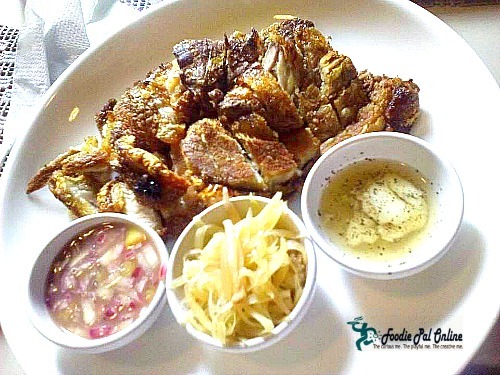 It is deeply fry pork belly that is similar to lechon kawali. 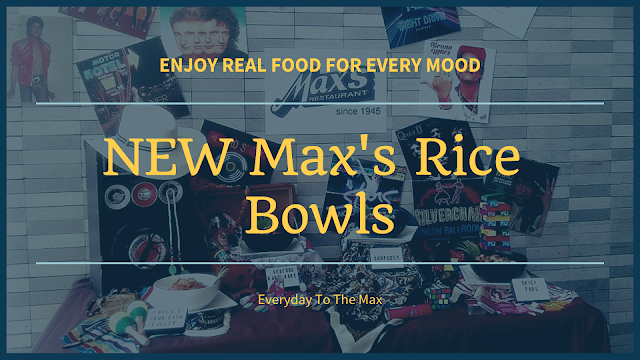 Best served with different sauces, like suka with garlic, shredded papaya salad and homemade ginamos(bagoong). 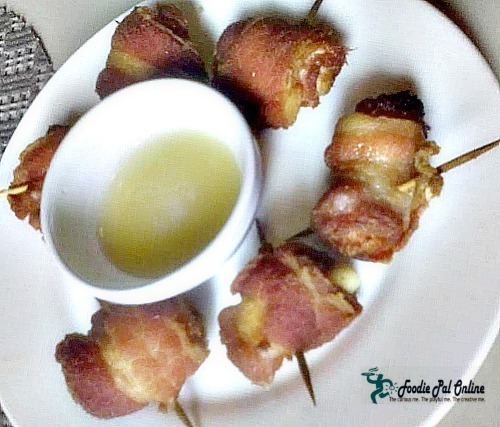 A shrimp wrap in a bacon. Kids will surely love this dish! 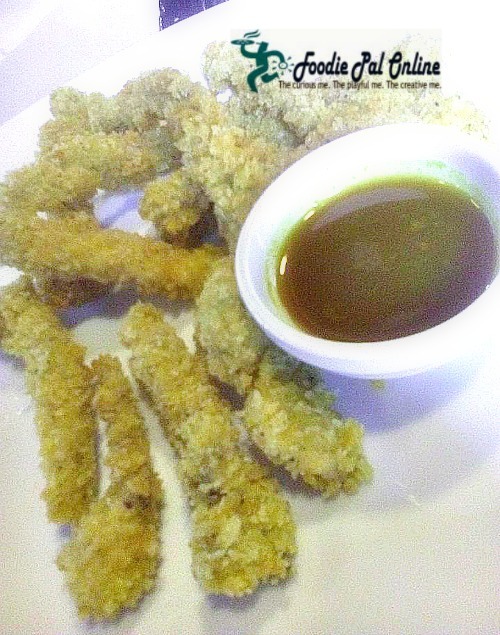 Another starter dish that will be loved by both kids and adults is their Chicken Fingers. Also known as chicken tenders, that is good to taste as you dip it with their homemade sweet dipping sauce. Who are into a HEALTHY DIET? 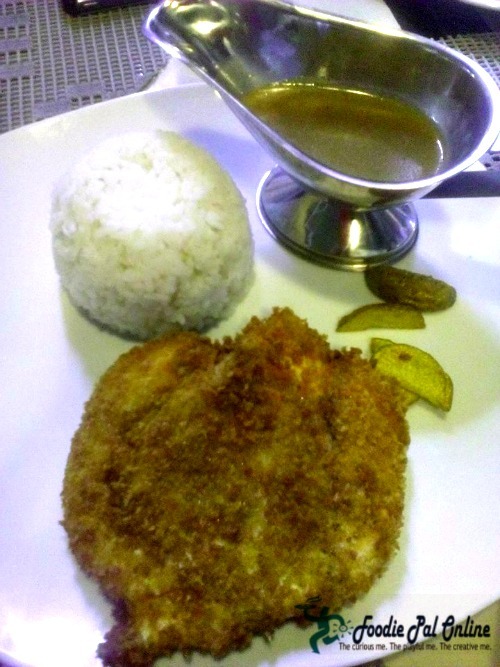 Newest dish added to their menu is the Breaded Chicken, a dish design for people who are in a diet plan. A sumptuous dish that you can't resist. So tender and the meat falls right off the bone dip in with their sweet and sticky succulent Honey Hickory sauce. 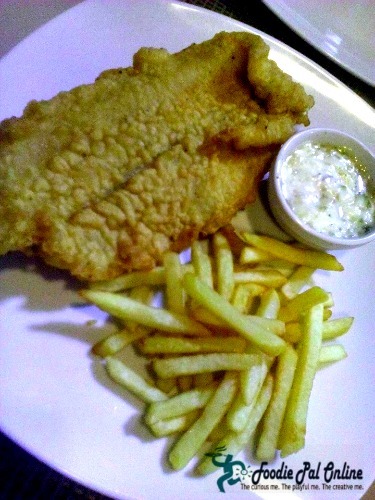 A great comfort food that is Fish n' Chips served with perfection. The fish taste so yummy and you can't stop eating with it. I've tasted various forms of Paellas, by region it has different unique way in preparing it. But this time Peppers Iberica Chicken Paella is a must try for me. A home grown recipe that has an authentic flavor and absolutely suites my taste better. The dish has it's own twist of flavor, and that intrigues me. 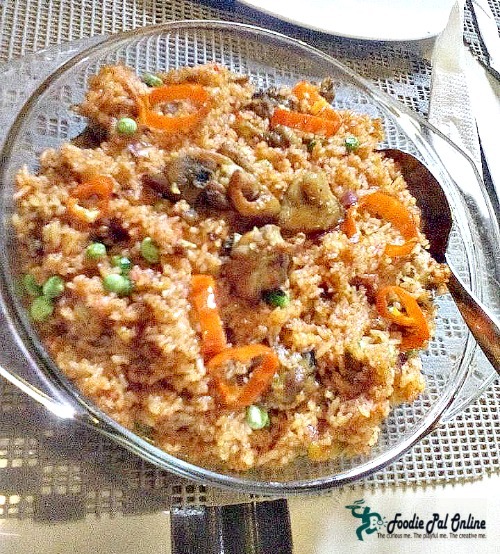 For me, whether it contains chicken or seafood, paella is all about RICE DISH! Ultimately good rice (not chicken or whatever) that makes a paella great. 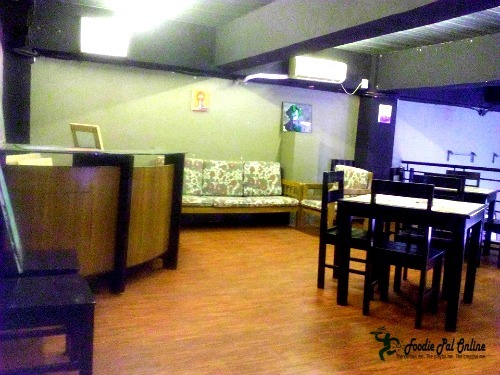 BTW, you can rent the place for reunion, parties, etc.. 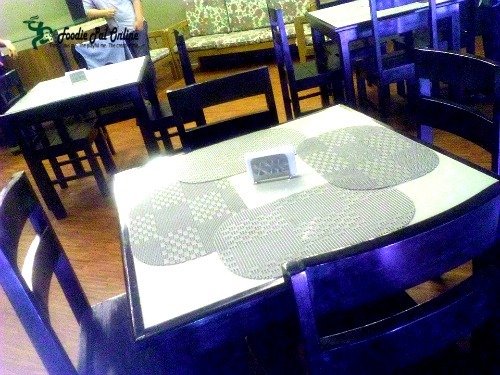 The whole place can accommodate 60 pax for only PHp10,000 consumable that is good for 4 hours. 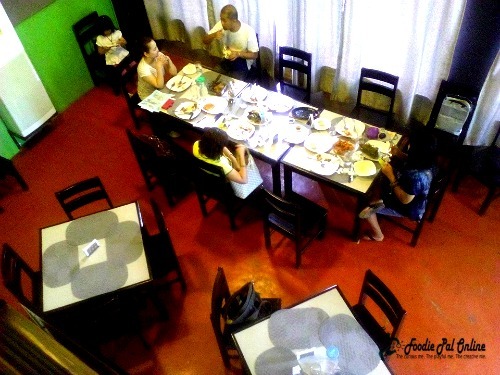 Or rent the upper floor for only PHp5,000 consumable, it can accommodate 20 pax. 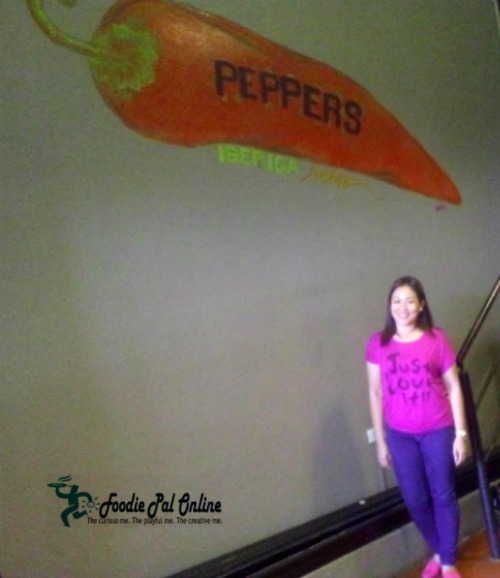 A taste for life indeed happened at Peppers Iberica Resto located at Mabini St. Dimdi Bldg.,fronting Stockbridge International School (formerly Tumble Tots).